Something that I’ve always been fascinated with is the nature that I am surrounded with. Plants and animals share a beautiful relationship in nature, and I’m here today to talk to you about that amazing partnership. Typically found during rainy seasons for a brief period of time, these plants are a rare but delicious find if you like to have a zesty flavor in your salads. If you plan on growing these, be sure to keep them well-watered. Because they have that strong mustard smell and taste, I recommend using them sparingly as a delicious garnish. Goosefoot is also known as Lamb’s Quarters or, quite simply, wild spinach. When I make the double take, I can totally see the resemblance to store-bought spinach, but these leaves are actually far more nutritious than the spinach you would by at the supermarket. So if you ever see any of these little guys sprouting in your yard, you might want to think twice before you mistake them for weeds! If you pair the two plants together, you can have yourself a pretty fantastic salad with a nice kick to it. Mike Wood, creator of the Wild Utah Edibles blog, gives us a nice walk through of his garden where he talks about both the blue mustard plant and the goosefoot. Take a look at his video, and be sure to check out his blog! As beautiful as this plant may be, it is probably one of the most valuable plants you could find in the desert. First of all, these beauties are very easy to find, because they thrive in sunlight, so you’ll be able to find them out in the open. Many people associate primrose with medicinal purposes, but this entire plan is a salad in itself from the roots, to the leaves, to the flowers. Even the seeds, if you’re lucky enough to find a plant that still have seed pods, can be roasted and added to your dish. This plant is as delicious as it is beautiful. If you’re ever stuck in the desert and you don’t know where to look to find the edible plants that I just mentioned, my advice is to follow the animals. Here are some critters who like to eat the plants that I just mentioned, and together, you can all coexist happily if you choose to. If you grow primrose in your garden and have been wondering who has been munching on your plants, it’s most likely the rabbits. 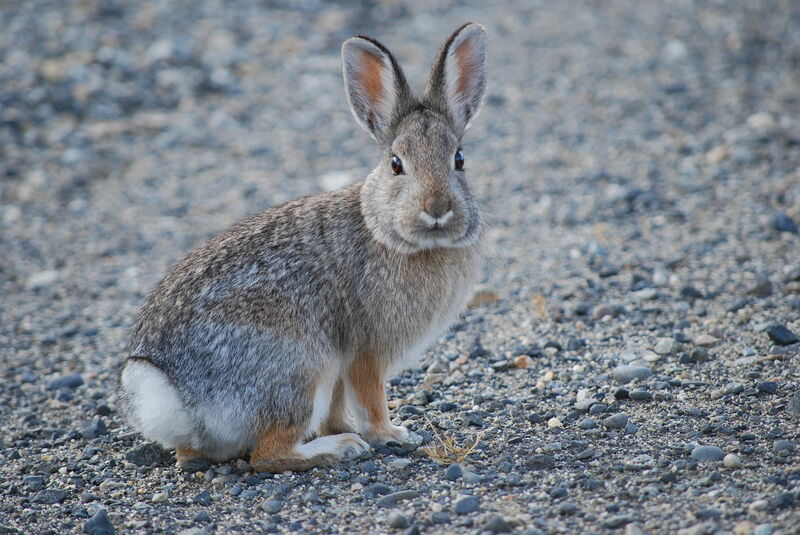 In Utah, the two most common types of rabbits are the Jack Rabbit, and the Cottontail Rabbits. The Jack Rabbit is commonly identified by its long ears and limbs, and are usually found in desert climates. These little guys are what we would see more often, and they are a little stubbier and fluffier with a tail like…well, like cotton. Both of these little guys can be found munching on your primrose and any of the plants I mentioned really, but don’t worry — there are plenty of plants to go around. This next animal happens to be my favorite desert animal. 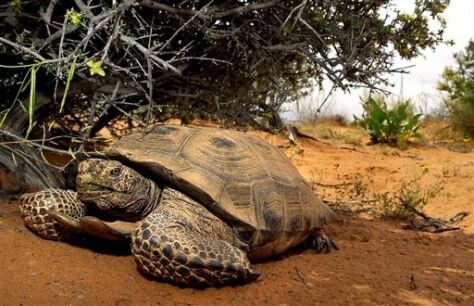 Utah’s desert tortoise is fascinating, because unlike many other animals, their body shape has not changed over the centuries, which goes to show how highly evolved they were to begin with in order to withstand the desert. Unfortunately, NBC News has reported that the population for these guys has been rapidly declining, so if you happen to cross paths with one of them, please do them and their future spawn the courtesy of simply leaving them alone. No selfies please! What are your favorite plants and animals of Southern Utah? Have you encountered any amazing animals lately? Do you have any recipes from any edible plants in your garden? Comment below with your famous edible plant recipes, we would love to try them! Have you ever wondered how each state got its shape? I remember taking my “I Know my States” test in the fifth grade and thinking that some states have the most peculiar shapes. Since this is a blog about Utah, I figured there would be no better place than here to tell you about how Utah was settled and how it got its shape. Before we go into the logistics of politics and how the state got its shape, we need to establish who was involved to begin with. There have been many notable people who have passed through what is today known as Utah, from fur trappers, Catholic priests, to explorers like Francisco Vasquez de Coronado. Even the infamous Donner party made their way through the Salt Lake valley, even though they didn’t end up settling. With all of this traffic, it would seem that Salt Lake valley was a very popular place to form an settlement, but it wasn’t until the Mormons came around was there ever any real conversation about forming a settlement that would be recognized by the United States Government. Lake was actually a part of Mexican jurisdiction up until 1948 when the United States government was able to get Mexico to sign the Treaty of Guadalupe-Hidalgo. So let’s take a look at the land that once belonged to Mexico. As we can see here, the land of what we now know as Utah was actually a part of Mexican Cession, which was the land that was given up by the Mexican government upon the signing of the treaty. So from there, the Mormons took a large chunk of the land and made an unofficial state called “Deseret”. The orange border encompasses the entire State of Deseret, which was a name that was taken from the Book of Mormon. If the Mormons would have succeeded, Deseret would have been one of the largest states in the country today. Needless to say, the agreement fell through, which takes us to the Utah Territory in pink. The Utah we all know today got its name from the original inhabitants of the land, the Ute people. From here, it became a battle over silver and gold. To the left of Utah, we see a large portion of the Utah Territory that is today known as most of Nevada. Utah lost this portion due to the fight over all of the silver that was discovered in that area. The same thing happened over to the right with Colorado and Wyoming over a dispute following the discovery of gold and mining rights. After all that has been said and done, there is still one issue: Utah still has not been recognized as an official state, because the United States government had laws against polygamy, which contradicted was was believed to be practiced in the Utah Territory. It wasn’t until the president of the Latter-Day Saints church, Wilford Woodruff, came up with the 1890 Manifesto did the chances of Utah becoming a state started to look up. This manifesto was incredibly crucial to the success of Utah’s application for statehood, because from here on after, all territories applying for statehood would need to abide by the same laws as the rest of the union. From here, Utah applied for statehood in 1895, and was officially granted the title of statehood on January 4, 1896. For more information about how Utah became a state, visit our friends over at the History Channel and check out some of their videos that would give you a great visual of how Utah got its shape and much more! For a brief summary of Utah’s geography and how it was settled, here is a video that would serve as a nice visual aid to the diverse geography of Utah. We hope you enjoyed our post about Utah’s history encompassing its major trials and triumphs over the centuries. If you have anything you would like to share about what you have learned about Utah’s history over the years, please feel free to leave us a comment below. We would love to learn from you! Southern Utah is not just a place filled with natural beauty everywhere you look; it’s also a wonderful oasis filled with a diverse range of cultural events throughout the year. Here are some of my favorite events that take place right here in Southern Utah. If you’re ever in the area, I highly recommend you check out some of these events! For all you theater and literary buffs, this festival is an absolute treat to attend. If you love the theater, you will love this festival. There are six different plays for you to enjoy, and they are all put on by a wonderful cast and production company. If you have ever been to Shakespeare’s Globe Theatre in London, you will might find yourself a bit disoriented of sorts if you attend any plays hosted in the outdoor Adams Shakespearean Theatre, because that theatre is actually modeled as to be a replica of Shakespeare’s Globe, which goes without saying that this particular theatre exclusively hosts Shakespeare’s works. The festival takes place at Southern Utah University, and tickets sell out fast, so I recommend you book them in advance! If you love good art and good vibes, the Moab Arts Festival is an annual event that you definitely won’t want to miss. The festival committee works very hard to throw this spectacular event each year, and they really seem to out do themselves with each coming year. This last event featured art from over 100 different artists. This is a great event for the entire family or if you are looking to plan a great date. There are activities for the kids, and a beer and wine garden for the adults. You can enjoy the delicious festival food and live music while you browse all of the collections of great art that will all be up for sale. This event is free for admission, so there really is no excuse to not check it out, especially since their 25th annual festival is coming up in 2017, so you know it’s going to be one that you won’t want to miss! This event is arguably one of the coolest events that you could possibly go to. If it’s on your bucket list to float away in a hot air balloon overlooking the beautiful landscape of Southern Utah, then I can’t imagine any place that would be a better fit for you to be than at the Panguitch Valley Balloon Rally. This weekend-long event is packed full of fun and entertainment. For those of you who choose to stay on the ground, there’s plenty to do all weekend long. There’s a 5k race for those of you who wish to participate, or if you have kids, there are fun zones, parades, and even and after dark dance! All the while there will be live entertainment for the entire family to enjoy, and don’t forget,that spectacular view of the mass balloon ascension, which takes place every morning at 6:30 am. I promise this is an event worth waking up early for. So, as you can see, it doesn’t matter what time of year it is, Southern Utah has a lot of fun events to offer you all year long. We hope you enjoyed our list of favorite events, and if you have any memorable events that you have been to in Southern Utah, feel free to comment below and let us know about them so we can check them out! Maybe we’ll see you there! If you’re ever in the Southern Utah area or are planning a trip to Southern Utah, and you’re wondering just what the heck there is to do here, you’re in luck. Whether you’re traveling with the whole family, with a special someone, or just on a soul searching trip by yourself, we’ve got you covered. Take a look at what we’ve come up with for you and the whole family. When I talk about the Kanab City Swimming Pool, what I really mean is Kanab City Tiny Beach, because this pool is seriously huge. The shallow end gradually becomes deeper as you go further in toward the water slide. Yes. You read that correctly, not only does this pool have a water side, but it also has a lazy river for you to float along in as you enjoy that nice cold beverage. Grab your floaties, what are you waiting for? Admission is only $3 per person, and it all goes toward keeping the pool clean and enjoyable for everyone. Navajo Lake is probably one of the most popular places to go fishing in Southern Utah. If you’re looking for a peaceful day on the lake with nothing but a cooler full of bait and beer, this is the place for you to take on your wildest fishing dreams. Check out the following video in which these two gentlemen manage to catch a gorgeous Pike from Navajo Lake. Don’t worry, it ends happily with the guys letting her swim free. If you’re an avid fisherman (or fisherwoman), you know that the striped bass (or Striper Boils) is commonly found in salt water, so you probably would have zero luck finding any of these guys in land-locked Utah right? So wrong. Lake Powell happens to be pretty notorious for having a large amount of striped bass. 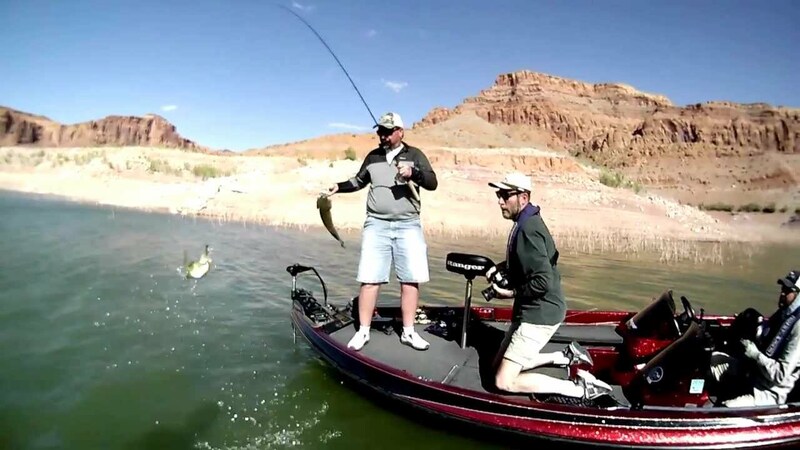 Check out the guys of Utah Wildlife Resources give us a front seat tutorial on how to successfully catch striped bass in Lake Powell. They also give us a nice lesson on how the whole circle of life works for these tasty fish as well! If you love golf and beautiful views, your’e in luck with Coral Cliffs. A friend of mine loves coming here in the afternoon after he’s done with work, because the weather is perfect for getting in those 9 holes, and you get to see the spectacular view of these cliffs at sunset. Keep in mind that this is a 9-hole course, but it’s great if you don’t have all day but still want to get your golfing fix in. If you really want to do 18 holes, you can always go for two rounds and enjoy the amazing course all over again! If you’re looking for a breathtaking adventure to take in all of the magnificent views of Southern Utah, there is probably no better way to do it than with a scenic flight. These flights are perfect for those adventurous date nights that would leave great memories for the both of you for a lifetime. Visit Red Tail Air Adventures to book your tour ahead of time, because before the opportunity flies away! 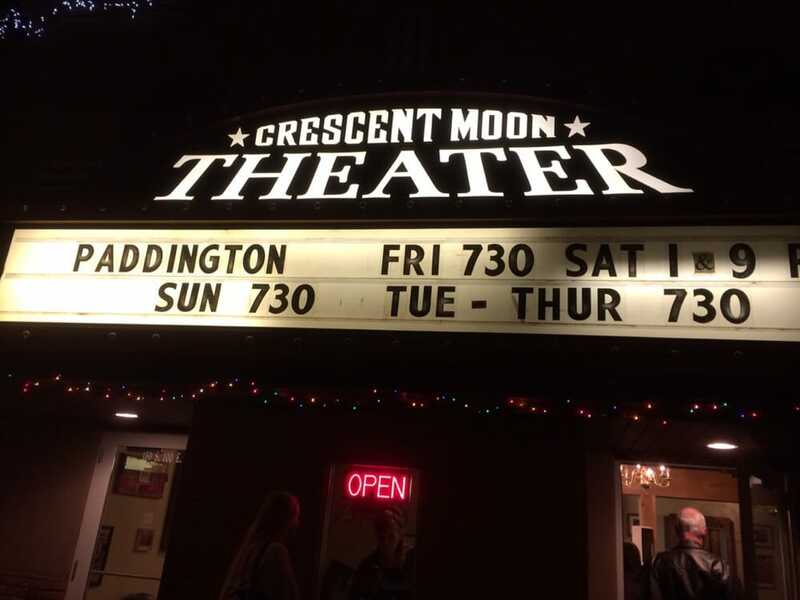 If you’re looking for a low-key yet exciting night, I highly recommend you check out the Crescent Moon Theater. This place has all types of theatrical entertainment that all center on the western theme to really give that great escape from reality. There are poetry and music nights, and on Monday’s you can see western movies that were actually filmed in Kane County. This place is great for the whole family but it’s also a fantastic date spot that will leave the both of you very impressed with the production quality that the team at Crescent Moon always puts together. Are there any places that you have been to in Southern Utah that you would love for us to know about? Comment below and let us know what your favorite things are to do in Southern Utah, or your favorite places to go. We would love to hear from you!